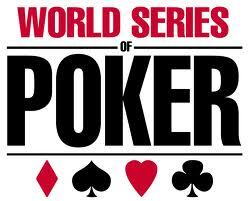 This article is number 9 in a series covering the most important tournaments in the 2011 WSOP. If you’re a poker enthusiast, then, you certainly follow everything that has something to do with the game. The best way to enhance your skills and abilities to play poker is observing how experts play their game. The biggest event for poker enthusiasts is the Word Series of Poker which is a show of skills and abilities of professional poker players all over the world. Besides, take note that poker isn’t just all about No Limit Texas Hold’em which is the main event of all poker tournaments. There are plenty of poker variations; and WSOP schedules various events for different poker variations like the Pot-Limit Omaha Championship. What is this game variation all about and how is it played? Let’s find out. Pot-limit Omaha is a thrilling poker game variation which had its concept from Texas Hold’em. Under Omaha game, the players are traded with four faced down hole cards contrary to the two faced down hole cards in Texas Hold’em. However, the players will share with the five faced up community cards. In pot-limit Omaha, players are allowed to bet equivalent to the pot amount and whoever got the highest poker hand wins the game. Pot-limit Omaha poker game has been increasing in popularity because it encourages more action, thus, causing players to bet more. If you want to learn other poker game variation, then, pot-limit Omaha is worth the try and you will certainly love it. Let’s consider who made it to the top during the past WSOP Pot-Limit Omaha Championship. buy-in. It was an overwhelming success with 346 turned out to play the game. Daniel Christopher Alaei, a native from California with Assyrian-Iranian origin, took home the highly enviable WSOP gold bracelet and $780,599 total cash prize. He defeated other finalists which included Miguel Proulx, Ville Mattila, Ludovic Lacay, Trevor Uyesugi, Stephen Pierson, Dmitry Stelmak, Alexander Kravchenko and Matthew Wheat. The 42nd WSOP Season of 2011 will kick off from May 31, 2011 to July 19, 2011 at the ever famous Rio All-Suite Hotel and Casino in the gambling capital of the world, Las Vegas, Nevada. The Pot-Limit Omaha Championship is scheduled as event #42 which will be happening on a Friday, June 24, 2011 at 5:00pm. This will surely be another action-packed event you must not dare miss as professional poker players from different parts of the globe are fighting to get the huge cash prize and the prestigious WSOP bracelet. So, if you want to enhance and practice your poker skills; you shouldn’t miss the action at the upcoming 2011 WSOP Pot-Limit Omaha Championship poker tournament.